When I first started my blog I was always a little unsure to take my blog into the social media world. But eventually I made a Facebook and Instagram page and about a year later I made a Twitter account. I was more nervous on making a Facebook page as I wasn't quite sure how I could get any traffic through it. I was nervous sharing my post with the public, where all local people, family and friends could read it but now it really doesn't bother me. If I am honest, I don't have that many likes on Facebook, 1502 likes to be exact. I managed to get most of the likes by hosting some giveaways on my blog, but now the entry option to 'like' a page on Facebook is gone and I haven't been getting much likes through it. But it doesn't really bother me that much anymore because I have been more into Instagram and Twitter recently. Comment Share Support - This group is run by me! I started the group just before Christmas but decided to stop when I wasn't myself during early stages of pregnancy. I have recently re-started the group again and I am doing daily threads. At the moment there aren't many members but I hope to gain a lot more members within the next few weeks or months. Join up if you can! I would really appreciate it. Love 2 Blog - This group is run by the lovely Kerry who blogs over at OhSoAmelia. This is the first ever thread group that I had participated in. Kerry does one thread a day. Each day a thread is different, from sharing a post, Retweeting a tweet and more. You can also ask for some advice through this group too. Promote Your Blog - This is a group I found recently. There are different social media threads every day in this group. I have found it a great group for traffic to all my social media accounts. Bloggers Helping Eachother - This is the other group that I have found recently and have really enjoyed participating in. This group also does a few threads each day just like that group above. * Top Tip: If you do think about participating in these groups, make sure that you have time to do so. When you participate in a thread, you must comment on all other blog posts, re-tweet all other tweets etc that are in the post. Most threads allow 10-15 and more participants. It can take up a lot of your time, but is worth it. Just Another Linky - This is a pretty new group that I have made for my popular linky, that Kirsty co-hosts with me. I haven't started it properly yet and thinking of ideas on how to run it different to all other blog groups. Come and join! PBloggers - This group was one of the first groups i had joined. It's great for sharing your posts and it is pretty good for getting some traffic too. Many members are in the group and post daily. If you are interested in following me via any Social Media the links are on the side bar on the right. Very good tips, I shall come by and check out your group. I am part of so many Facebook groups and some are definitely better than others. But, they can really help with blog traffic. There are so many threads out there as long as you are willing to put in a lot of time and effort. Bloggers Helping Each Other & Promote Your Blog are good, you should try Grow Your Blog and Social Media Network they are fantastic. At last Facebook is good for something! I've joined a couple of groups + they've really helped my traffic/likeability to brands. Hi Beth, I too feel a little nervous and daft sharing my blog posts on Facebook as the people there actually know me. But the more I do it the easier it's becoming. I have set up a page for my blog too, but I'm not overly worried about it. Last year was my year for sussing out Twitter (which I love) and this year it's Instagram. I think taking part in any kind of blog post promotion takes participation and time, but usually they are worth it. I am also a member of some of these (though not all, I'll have to join up!). Have a look at Blog and Social Media Promotion too. I know of quite a few of these, but you've named some that I didn't know. I'm off now to look at some of the others - thank you! It's so nice of you to share the places that have helped you so much. It's very appreciated! Thank you for sharing new places to find new blogs to read. Was interested to read this and I've found the same. I belong to a mix of the same and different groups, so I've picked out a few new ones to join. Thanks for mentioning my group in this post, Promote Your Blog, I'm glad you're finding it helpful. 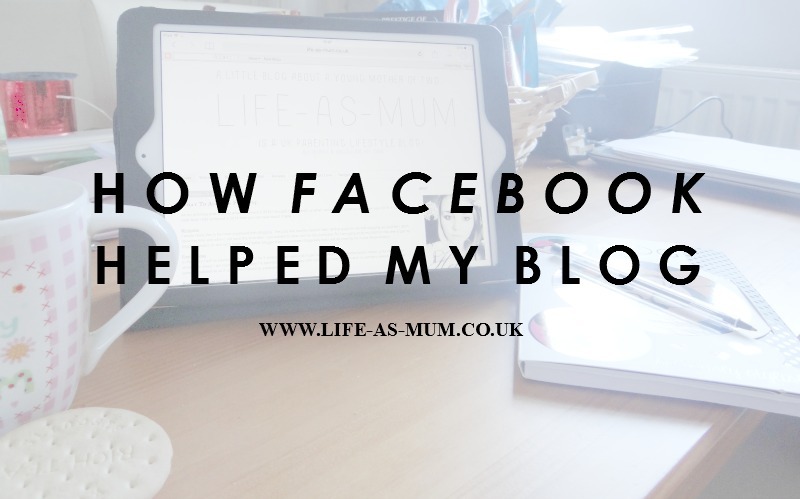 Facebook is such a fab resource for bloggers. Great post. Very informative. I have just joined the other groups. Thanks for sharing. Facebooks groups are certainly a great support network for bloggers no matter what there level. Great post! I've just joined some of those groups. I enjoy them as they give me a chance to come across new blogs and get a bit of interaction on my blog. Fabulous advice, and as I have only been blogging for a year, I will certainly be following the tips you have given. Thank you! Facebook is the biggest help with my blog, I'd pretty much get no readers without it.